Born in Tokyo in 1925. After graduating from Photography Department of Nihon University College of Art, concentrated mainly on the sequence photography for photogravure magazines as a free-lance photographer. He wrote reportage with photographs and offer them to newspapers and magazines. He traveled often all over Japan to do research on Japanese-style hotels, landladies, spas, gustation, fishing and etc.. 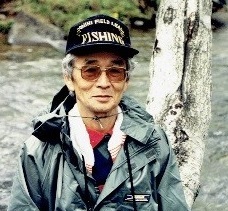 He held many posts of photograph and writing relating associations including the former executive director of the Association of Travel Writers of Japan.